In May of 2016, the New River Valley Economic Development Alliance adopted a new list of strategic priorities based on the findings of their recent third-party organizational evaluation (conducted by Avalanche Consulting of Austin, Texas). 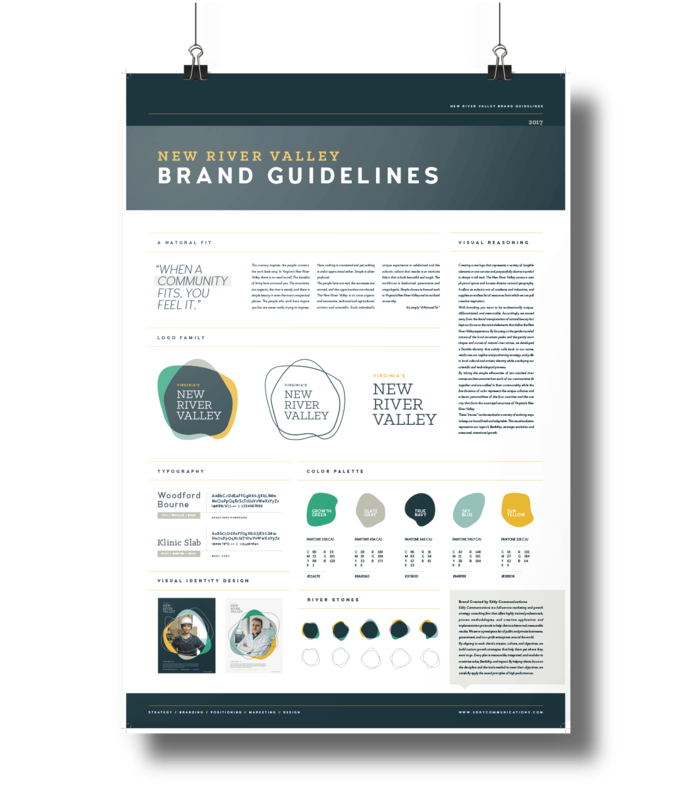 One of the top three recommendations was that the organization needed to "develop a regional brand and build out a regional marketing toolkit." 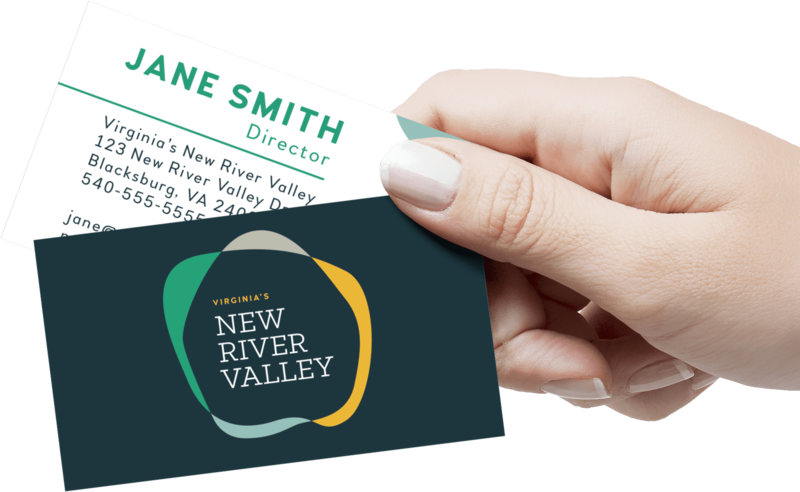 In an effort to pursue this recommendation, Eddy Alexander (then Eddy Communications) was hired to develop a new visual and verbal brand identity for the economic development promotions of Virginia's New River Valley. The work plan included both research and design phases and included community tour, anchor business site visits a two-week long regional photo shoot, and strategic input from more than 100 community stakeholders and 11 representative regional groups. The new brand took abstract inspiration from the rounded river stones that speckle the landscape around the scenic New River. The palette mirrors the muted color scheme of the river's reflections as it winds through the valley. The execution of the logo itself and the supporting graphic elements that help visually communicate the region's narrative allow stakeholders to creatively emphasize and blend both the artistic and the highly scientific reputation of the region. They also provide an easy way to showcase and share the personalized and overlapping storylines of economic success, prosperity, and a high quality of life. Since launching their new brand identity, our client has received tremendous positive feedback from both internal and external stakeholders. They have increased their investor rankings and subsequent organizational budget by 30 percent, and many of the new contributors have cited the new brand as a major factor in their decision to get involved. EA's client also recently nominated the newly designed website and target industry brochures for awards with the International Economic Development Council and the Southern Economic Development Alliance. “Holy cow! This is incredible. Modern, authentic, beautiful, one of a kind… I know no other economic development branding like this. What you’ve accomplished deserves national recognition."